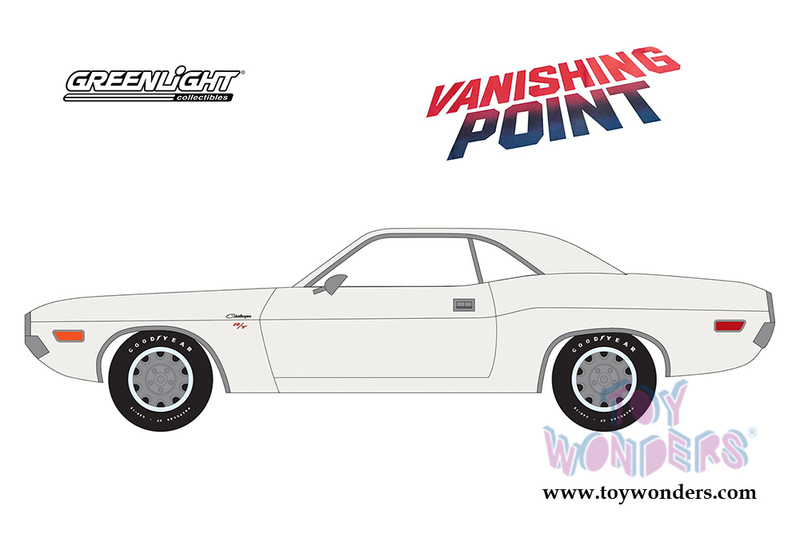 44820A/48 Greenlight Hollywood 22 | Vanishing Point (1971 movie) 1970 Dodge Challenger R/T. GreenLight has put the love of the silver screen into something slightly smaller with 1:64th scale replicas. 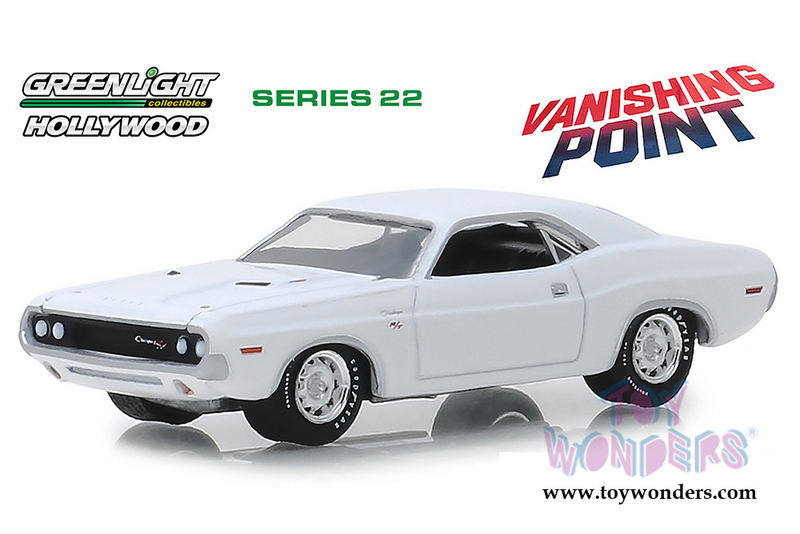 GreenLight Hollywood takes iconic film and television vehicles from both the past and present and brings them to life with four-wheeled diecast replicas. 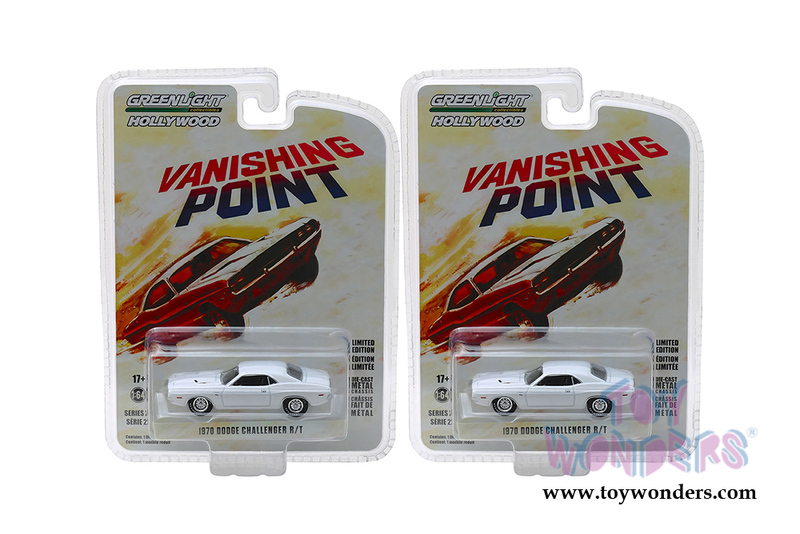 1:64 scale diecast collectible model. This Dodge Challenger is a 3" long diecast model car. 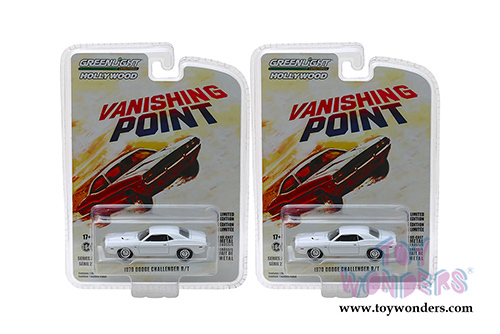 Each car individually blister carded. Card size: 5.5" x 7.5". Manufactured by Greenlight.